Who doesn’t dream of living on a private island? Every one of us. Right!!! But thinking about the expenses involved in renting or owning a private island, we all withdrew our thoughts. But you don’t have to do that anymore as this Kerala island is trying to fulfill all of our dreams and that too in our budget. I may sound unbelievable, but what can we do to make you believe. Ok yeah!!! 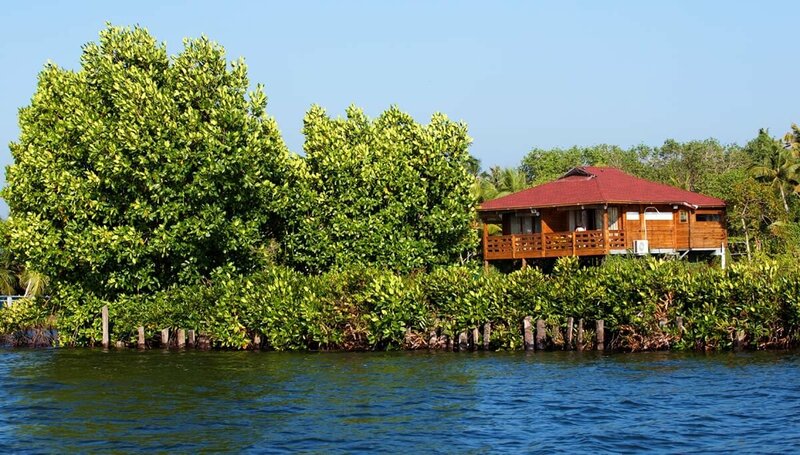 Here we provide you an insight into this and various information about the private island in Kerala. Many of us have a thought that to have the best trip is traveling abroad, but when there is a lot more to explore in our country itself, how can escape abroad from the beauties that India hold. If you love nature and wish to have a nearby nature encounter, then this trip can be very nice for you and you should definitely go for it. So, the island that we have been talking about is the Munroe island located in Kollam, Kerala. 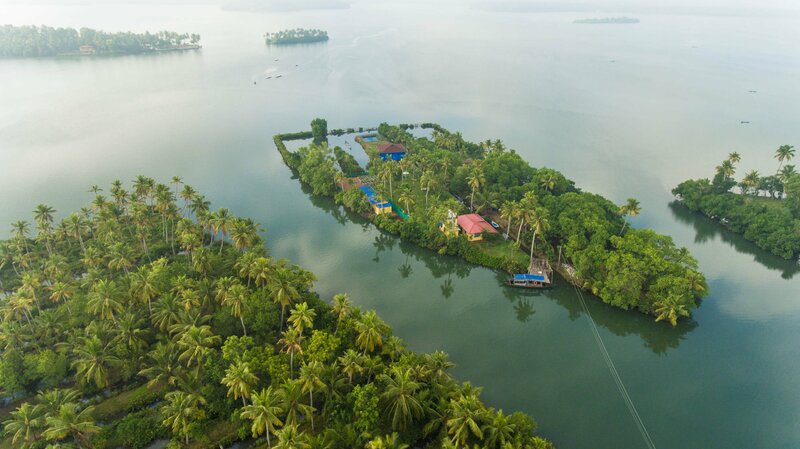 This is a total of 2-acre island that has the Ashtamudi lake on one side and River Kalladi on the other side. You can reach there in a 10-minute boat ride from the mainland. The farm has one wooden house with two rooms and a bathroom attached. You can take that entire island for yourself and it can provide a comfortable stay for four people. And you can have up to 4 extra beds, so the maximum people that you can stay here with is eight members. You will be given access to the entire island that is about 2 acres. And a wooden house on the stilts and it has all the needed luxury that you will be needing for a comfortable stay. And your wooden house windows will give you the view of beautiful scenic backdrops, lush green outdoors and the serene backwaters. 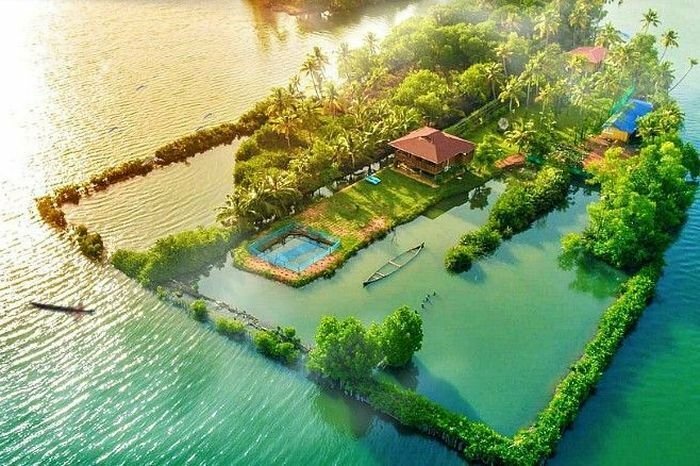 And we know that you would want to know the price per night for staying in this Kerala island, it is around 25k for two persons and it is less than the amount that would cost you if you chose to travel abroad. So, even it is for a day, you better have this island experience. While discovering this island, we thought that you should also know about the beautiful story behind this beautiful island. 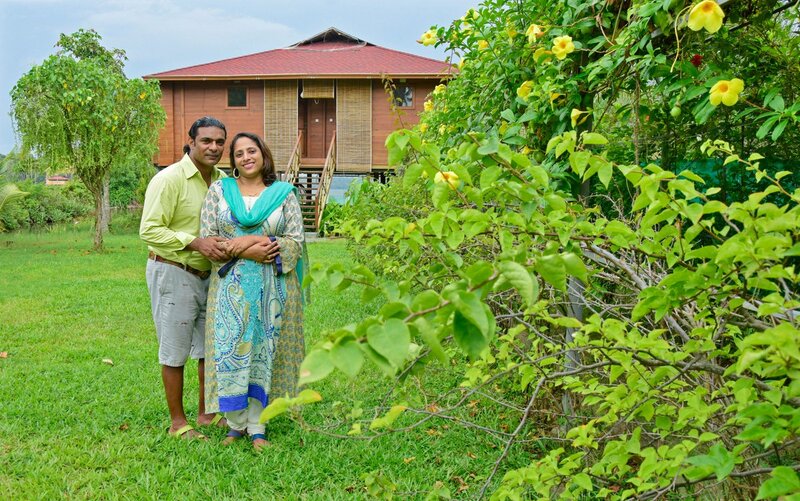 The island’s host Aram Paul gifted this island as a surprise gift to his wife Vinita on her birthday. Paul also says that his love for nature and his father’s conservative nature towards forests has altogether helped him in getting into this and owning a private island. If you really love to imbibe the nature and its beauty, love to have some peaceful time away from all this pollution of the cities, love to spend some quality time with your loved ones, then you should choose to travel this Kerala island. Love to this couple who are giving many people an experience of staying on a private island.